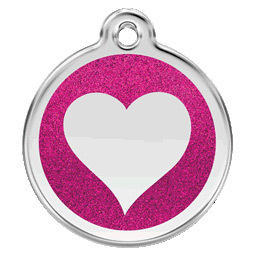 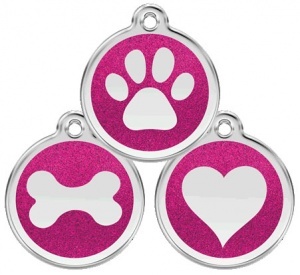 This pretty glitter hot pink dog tag by Red Dingo comes in a choice of 3 designs - classic bone, perfect paw or love heart. 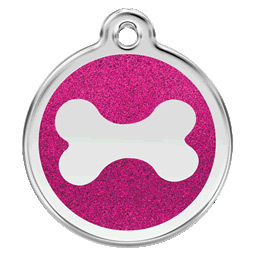 These tags are made from hard-wearing polished stainless steel and feature a touch of glamorous enamelled glitter on the front. 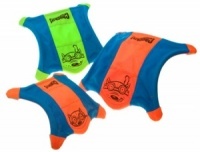 Personalisation is included in the price. Your engraving can include up to 4 lines of text with 12 characters (including spaces) on each line. 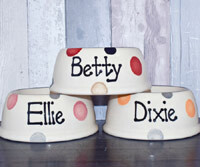 You can use as few or as many lines as you like but line 1 is required. Available in three sizes. 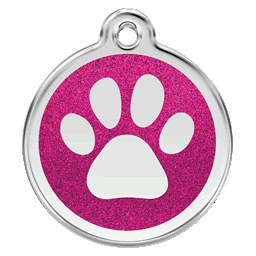 This is size Medium which has a diameter of 30mm. 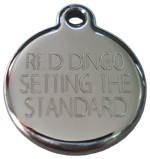 Very good quality, the size and colour were fine, the only thing I think let it down was the engraving although the quality was good it didn't show up very well against the background and therefore makes it difficult to read especially in sunlight.